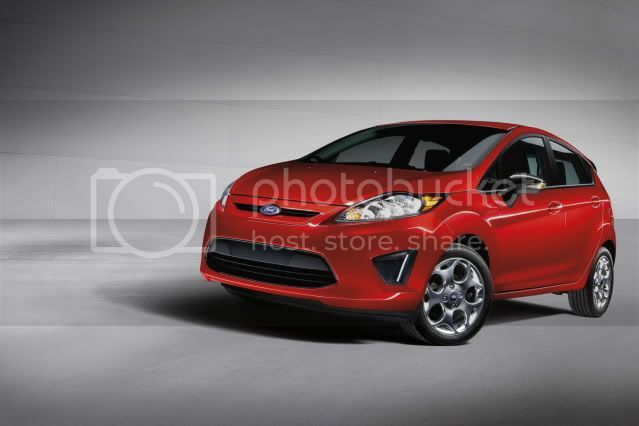 Ford has given its Fiesta three new option packages for the 2012 model year. 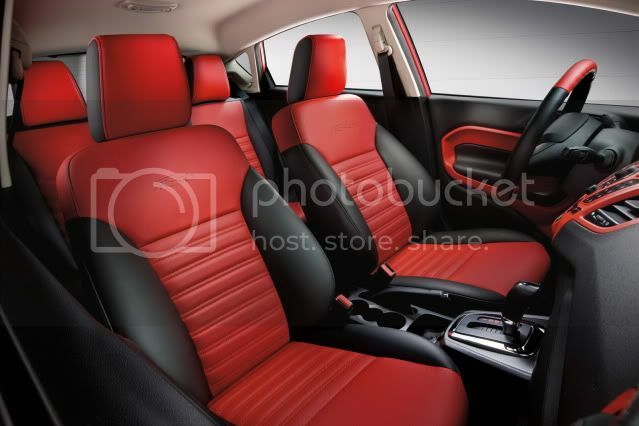 The interior can be specified with a 'Race Red' or 'Oxford White' package. 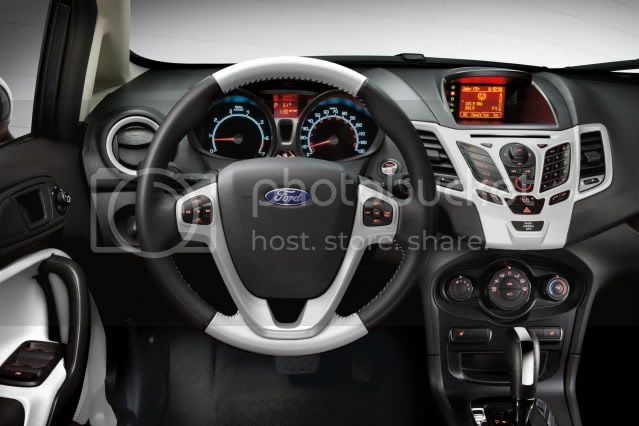 These consist of two-tone coloured interior accents on the door panels, centre console, and air vents, leather seats, steering wheel, and gearknob. 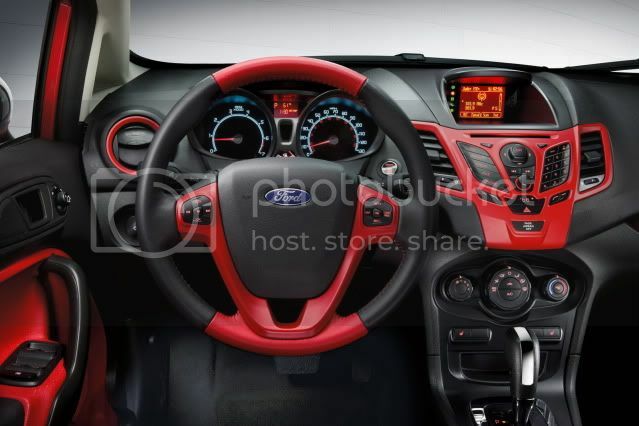 The seats also feature an integrated Fiesta logo, with the interior packages said to be inspired by fashion. These will only be available on SEL and SES models. Externally, a styling package paints several parts in Tuxedo Black like the door mirrors, grille surround, license plate header, and tailgate-mounted spoiler. Additionally, tinted headlights, revised manual transmission ratio - from 4.07 to 4.25 -, and 16” polished aluminium wheels will feature. 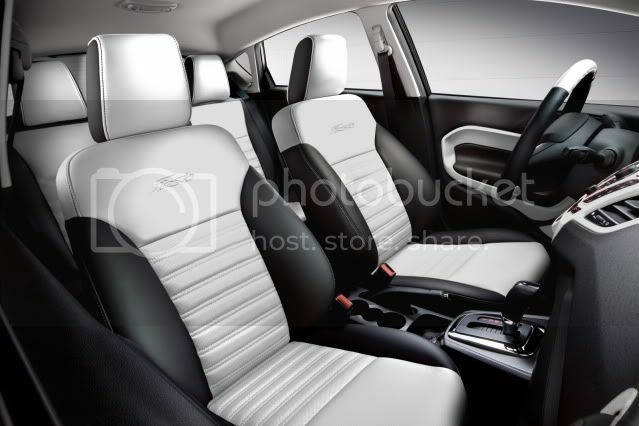 Lew Echlin, Ford Global Car marketing manager said: "The Fiesta customer loves accessories and personalization. These packages extend the desire the customer has to make the car more tailored to his or her own personal tastes. Personalization has been key since the Fiesta launched, and with the new packages we're featuring the latest design trends so customers can do even more with their car." Ford said that 40% of Fiesta buyers choose at least one accessory for their cars, with more than 26,000 Ford Custom Accessories items being sold to date.